2014 Reached nine GNC1 main events with a best finish of sixth at Calistoga. Lawrence recorded two additional top-10 finishes. 2013 Made six GNC starts, earning pole position and a season-best finish of fourth at Hagerstown. Raced for R&J Racing/Harley-Davidson. 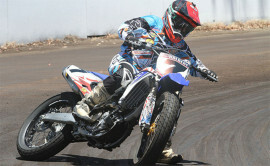 2012 Made seven starts on his Harley-Davidson and landed in the top 10 on three seperate occasions. Best races came at Hagerstown and Knoxville where he finished 6th in both main events. 2011 Lawrence started in eight GNC Twins events and earned one Top10, earning an eighth-place finish at the Calistoga Speedway. Raced with R&J Racing Harley-Davidson. 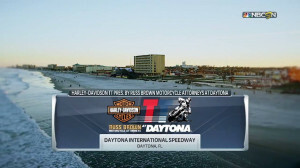 2010 Lawrence rode select AMA Pro GNC events, earning two main event finishes. He earned a 15th-place at Lake Odessa, MI and an 11th-place finish at Hagerstown, MD. Raced with R&J Racing Harley-Davidson team. 2009 Lawrence earned one main eighth-place finish at Rapid City. Raced in the AMA Pro National Hot Shoe Series with a sixth-place finish at Elkins Speedway. Raced with Bill Werner Racing team. 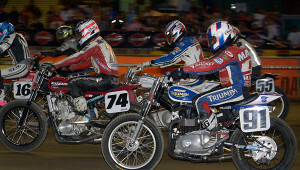 2008 Finished 21st overall in AMA Pro GNC Twins competition and second overall in the Canadian championship. Made five main events. 2007 Earned his national number at the Tucson Arizon GNC Twins round. Doug Lawrence proudly represents America's neighbors to the north. 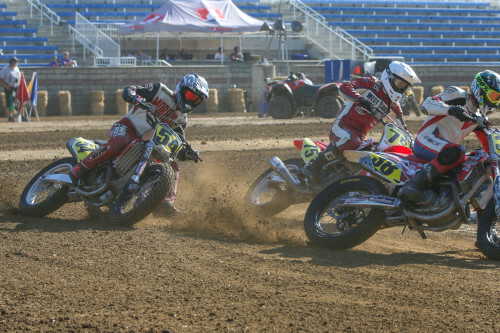 When he races with AMA Pro Flat Track, he's fast. He put his No. 73 machine into the main event eight times in 2014.